Streaming media sticks have become an in-thing these days, with big releases from major players like Amazon and Roku. They plug into an HDMI port on any TV and bring you all sorts of entertainment goodness. The one drawback is that they aren't exactly mobile. Now one company aims to change that, giving you all of your media on the go and just in time for a big travel season. 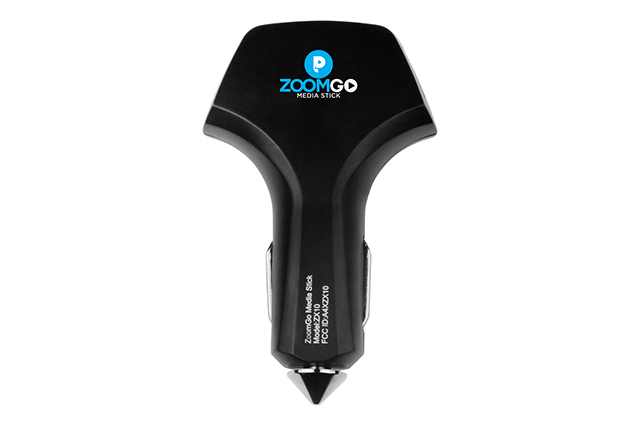 ZoomGo is producing a media stick that's made for automobiles and doubles as an in-car charger for your devices. But that's not all. The ZoomGo WiFi Media Stick & Car Charger also delivers your movies on up to four devices simultaneously, via a local wireless network, and can be powered by your in-car socket or a power bank. An 8GB micro SD card is included and fast charging and sharing of media is on board. It also comes with a free 15-day PlayOn trial. ZoomGo touts "Devices can stream the same recordings, or different recordings, it doesn't matter. No need to load recordings onto devices individually and no need to use pricey data plans when traveling! Just load up this puppy and up to 4 kid (or adult) passengers can stream to their devices. And it charges them up as well." The ZoomGo can be ordered right now from Walmart for $49.88.